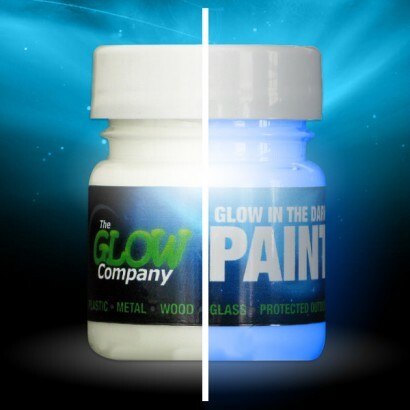 Achieve fantastic glow in the dark effects and paint whole pictures and murals or simply highlight your artwork with Glow Paint. 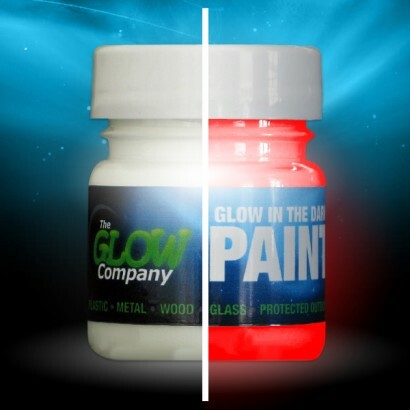 These 30ml tubs of acrylic paint appear off white in the light and glow in the dark to reveal their fabulous colour. 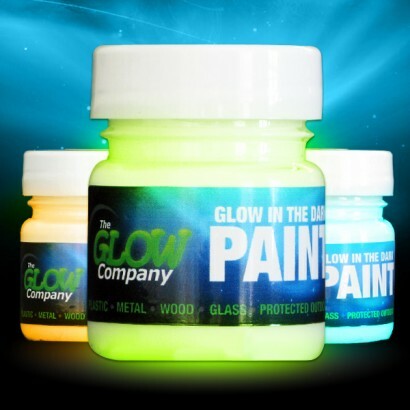 Glow Paints are available in green, aqua, yellow, orange, blue, white and red and so there's plenty of colourful scope to produce fabulous glowing works of art. Apply to plastic, metal, wood, glass, walls, ceilings and even outdoors for magical glow in the dark effects. To achieve best effects, we recommend that you use the 30ml base paint or a white paint as an undercoat. This is because the white background supports the colour better for a brighter glow. 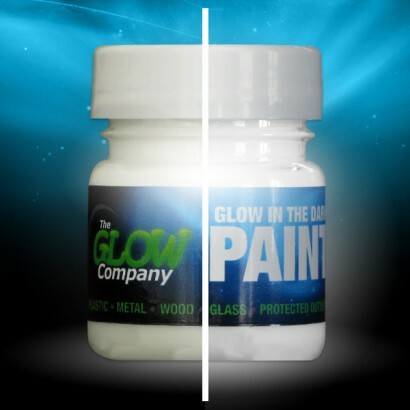 Please note that to achieve the best effects, glow in the dark paint must be allowed to charge in the light and must be viewed in absolute darkness without the presence of ambient light (e.g street lighting, outdoor house lighting or even strong moonlight). Not bad but it expected the paint yo have a solid glow. Plus the paint doesn't have a heavy pigment feel to it, it's almost like water. Also it comes in small tubs, maybe it would be nice if it came in tubes too ? And also, it would nice if the colour of tube reflects the colour of the paint instead of having labels stuck on the tube which came of frequent times. Used on my daughters ceiling to do stars got loads left. Even though the tub is small but knew this when I bought it. bought Green Glow in the Dark paint. Arrived very quickly, very pleased, not used it yet as i have more things to get for my little project, but as long as it glows how i think it will, it will be perfect and i will be ordering more, maybe in bigger quantities. I bought the base primer and the aqua blue paint, the primer spreads nicely, but the glow paint has a low viscosity, almost like water, it's hard to spread evenly but with practice you should be fine. MOST IMPORTANTLY - once you have finished painting and it has dried, leave it out in the sun, the paint absorbs the UV radiation from sunlight and charges the paint to glow. A shame it wasn't larger, however the paint itself was great fun to play with.